I’m a sports scientist from the Autonomous University of Madrid, Spain. My main interests are exercise performance, strength training and new technologies. I have a PhD. and two MSc. on High Performance in Sports and i’ve authored several scientific papers on peer-reviewed journals. Also, i’m the main author of “Strength Training: New Methodological Perspectives”, the first multi-touch sport-sciences iBook in Spanish. 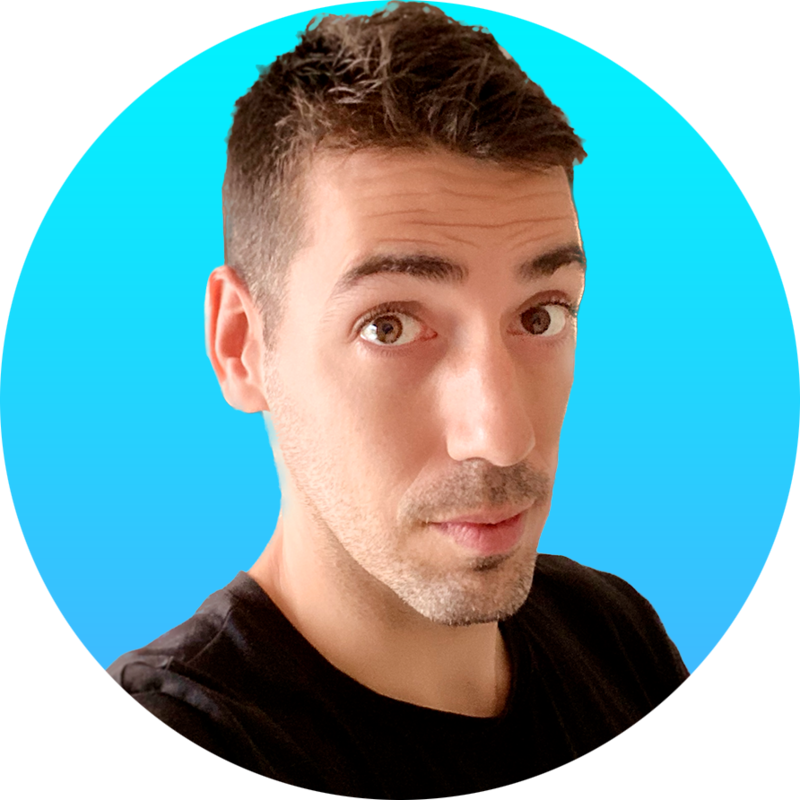 I’m also an iOS developer, creator of several apps such as My Jump 2 or My Lift, scientifically validated apps to measure performance with thousands of downloads all over the world. I've worked as a consultant in elite sports with NBA teams and elite runners, among others. Finally, i give talks on the topic of exercise performance, strength training and new technologies. 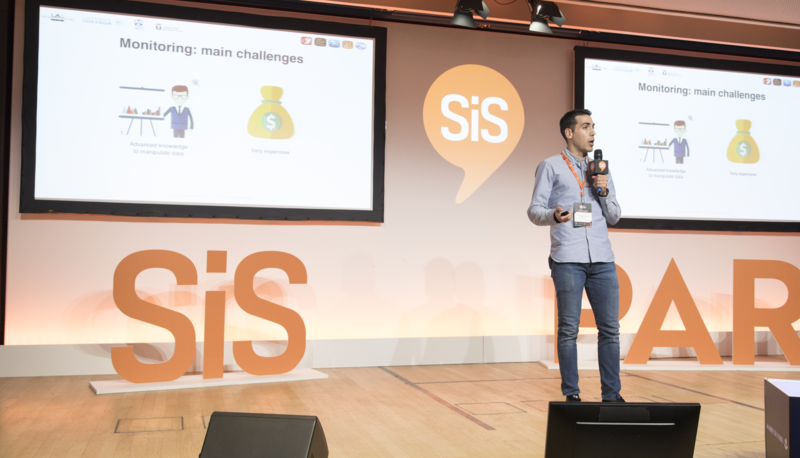 I have given several talks in International MSc., Symposiums, Congresses or private events in Spain, France, Italy, UK or the USA. I have given several talks and workshops on the topic of exercise performance and new technologies in different Symposiums, MSc., International Congresses or private events in Spain, France, Italy, UK or the USA. Also, i have worked as a consultant with NBA teams or elite runners, among others. If you want me to give a talk or workshop at your University, team or company, don't hesitate to contact me. I currently have 9 apps in the Appstore which measure different performance variables, like My Jump 2, which provides a complete analysis of different vertical jump tests, Runmatic, which calculates running mechanics, or My Lift, which measures barbell velocity in resistance exercises and estimates the 1-RM in a highly accurate way. The validity, reliability and accuracy of the apps has been proven in high-quality scientific journals. See the validation papers here. 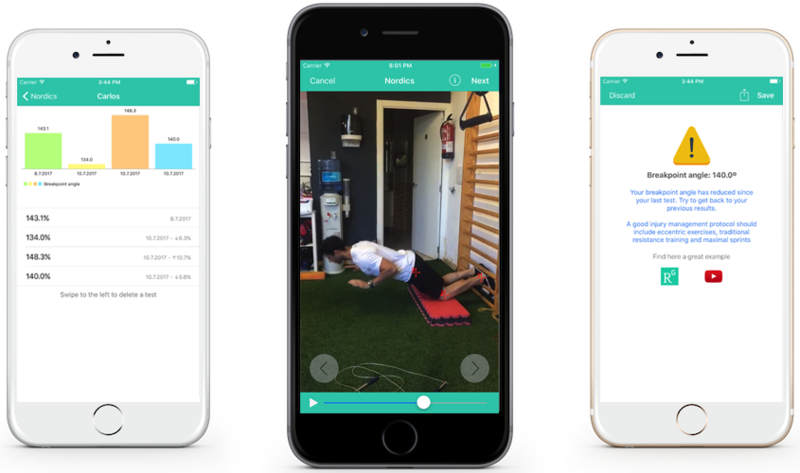 My Jump 2 is the new version of the award-winning app for iPhone & iPad that measures vertical jump performance in a simple, reliable and scientifically validated way. Available for iOS and Android. See the video-tutorials to learn how to use My Jump 2. My Jump was scientifically validated with a 10.000€, high-tech force platform and the results were published on the prestigious Journal of Sports Sciences. We measured 100 different jumps both with My Jump and the force platforms and then we compared the jump height of each system. My Jump values were highly valid and as reliable as the those obtained with the platform, so it is a great tool to measure vertical jump performance for both scientific and training purposes. My Jump allows me to measure my jump height easily and with accuracy. Something indispensable to evaluate my physical performance. My Jump is the cutting edge, scientifically validated and most practical application to measure athletes vertical jumping performance, and the only one to include the complete "Optimal Force-Velocity Profile" analysis we recently validated. What is new in My Jump 2? Besides the accurate jump height and force-velocity profile calculation of the original My Jump, My Jump 2 also measures contact times, stiffness, the reactive strength index (RSI) and your leg asymmetry. The force-velocity profile calculation has been improved too: now it is easier to know which capacity should you train and, more importantly, how much could you jump if you would reach your max potential! Finally, with its renewed database, you can save and export to Excel as many jumps, FV profiles or asymmetry tests as you want. New design, new tests, same accuracy! Is My Jump 2 an update or a new app? My Jump 2 is a whole new app, not just an update of My Jump 1. We've been working very hard to add new test, a more intuitive design and improved features. All this would have been impossible without your support, so we are really thankful for trusting My Jump again! Can I import my old My Jump data into My Jump 2? My Jump 2 has a new, improved database, with better export capabilities and new variables, so it is not possible to import My Jump 1 data into My Jump 2. However, your old My Jump 1 will still be there. Also, if you want to uninstall My Jump 1 to save space, you can always export your data to Excel and save it wherever you want. What happens with My Jump 1? Absolutely nothing! It is still alive and working, although with much less features than My Jump 2. Don't worry, your old My Jump 1 data will still be working on My Jump 1. My Jump 2 requests permissions to access your camera and your photo library in order to record and import videos, and thus measure your jumps. My Jump 2 never uses, stores or share your camera or photolibrary. We know you love running, but do you know how do you run? Runmatic is the first scientifically validated app that measures your running mechanics. Available for iOS9+ devices on the Appstore. Designed by sport scientists & coaches of elite runners, Runmatic is the first scientifically designed app that analyzes your running technique to help you to improve your performance and prevent injuries. Runmatic takes advance of the slowmotion recording capabilities of the latest iOS devices (iPhone5s/6/6s, iPad mini 4 and iPad Air 2) to accurately analyze your steps while running. Using scientifically validation equations, Runmatic calculates the contact-flight times, force, efficiency, frequency and even the asymmetry of your legs in a simple, accurate way. How does it work? 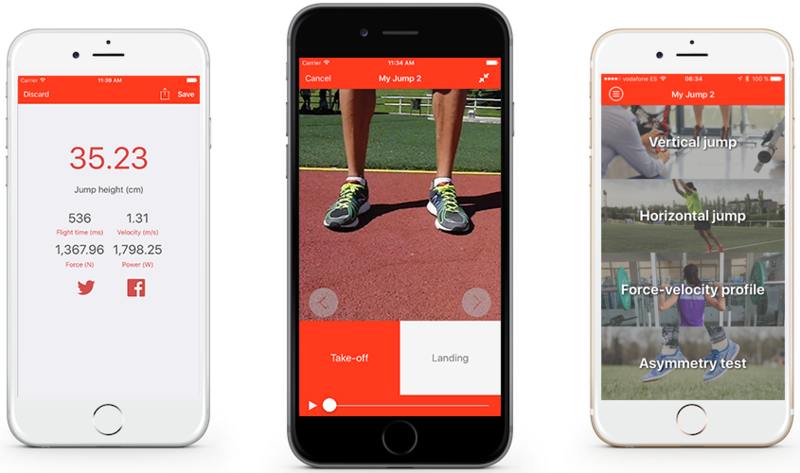 You just need to record 9 steps of your run with Runmatic and select the contact and take-off of each step. Runmatic will magically provide you with valuable information about your running biomechanics and will even notify you if something seems wrong. See a simple step-by-step video-tutorial to learn how to use Runmatic. Runmatic was scientifically validated using an infrared platform mounted on treadmill capable of measuring contact and flight times with high accuracy. We measured more than 100 steps running at low, medium and high speeds simultaneously with Runmatic and the instrumented treadmill, and the results were great: Runmatic is highly valid & reliable for measuring your running mechanics with scientific accuracy. Now, with Runmatic you can check your leg asymmetry, running contact times, vertical oscillation and more just using your iPhone or iPad! Runmatic is very helpful for my training. It let me better understand how do I run, which is critical to improve my running economy and, therefore, my performance. The tools often used to perform this kind of analyses are much more expensive and generally less practical for the general population. Runmatic solves this problem and allows runners to analyze and monitor their running mechanics in an easy way. What is your maximal strength? Which weight should you use in your next training session to optimize results? My Lift is the first scientifically designed app to measure your 1-Repetition Maximum (1-RM) in the most accurate way possible. Available for iOS and Android. Knowing your 1-RM in every single training session is essential to adjust your training intensity and get the best adaptations. However, performing an actual 1-RM test could be dangerous and fatiguing and, if performed every day, it will most likely lead to overtraining or injuries. To solve this problem, My Lift uses scientifically validated algorithms that can estimate your 1-RM with high precision by simply recording your exercise. 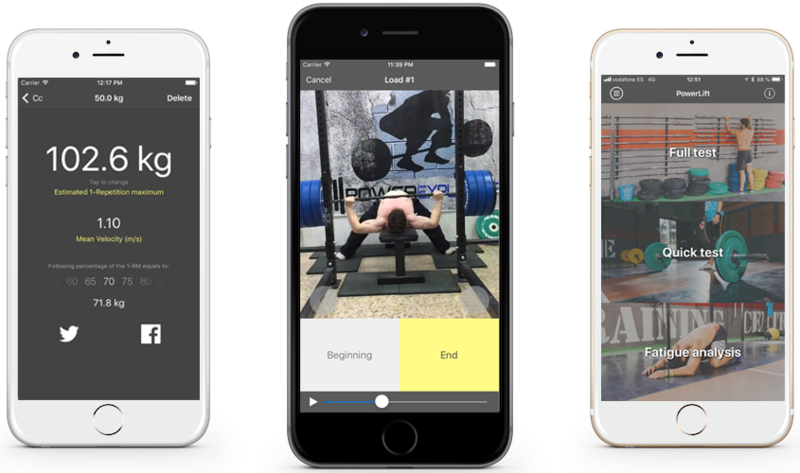 To do this, My Lift uses the high-speed video recording available on most smartphones devices to measure the velocity at which you are performing the exercise, which is highly correlated with your maximal strength capabilities. This novel approach is used by sport scientists and top-level coaches thanks to advanced instrumental like linear transducers or force platforms, but now you can measure your 1-RM like a pro just with your smartphone or tablet! 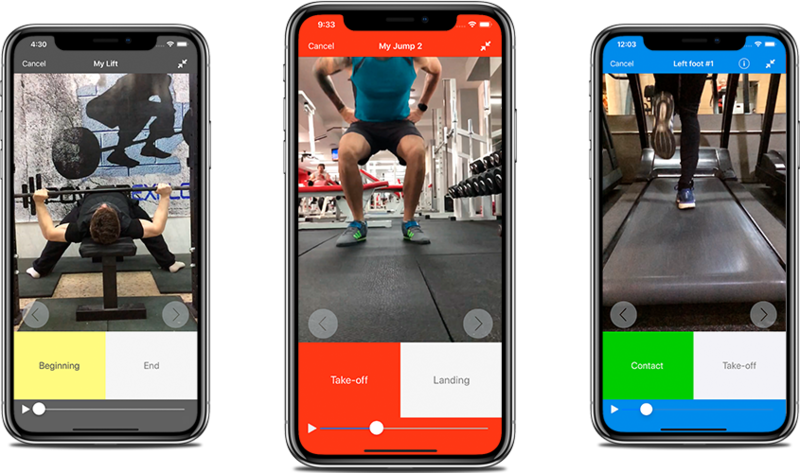 My Lift is very intuitive and easy to use: you just need to record one repetition of the desired exercise with 1 to 4 different submaximal loads and select its start and beginning in the app with its accurate frame-by-frame navigation. After that, My Lift will show you your 1-RM! See the tutorials to watch My Lift in action. Research has shown that there is an almost perfect correlation between the external load on resistance exercises and the velocity at which the subjects can perform the movement. That is what is called the load-velocity relationship: the higher the load, the lower the movement velocity.Moreover, recent studies have shown that the velocity at which the subjects can move the 1-Repetition maximum and each submaximal percentage is very stable, meaning that the 1-RM can be estimated in a very accurate way just by measuring the velocity at which the subject performs the exercise. Also, the load-velocity relationship allows to know what %1-RM corresponds to a certain load according to the velocity at which it can be moved, something specially important to monitor the intensity of the training to optimize the adaptations. 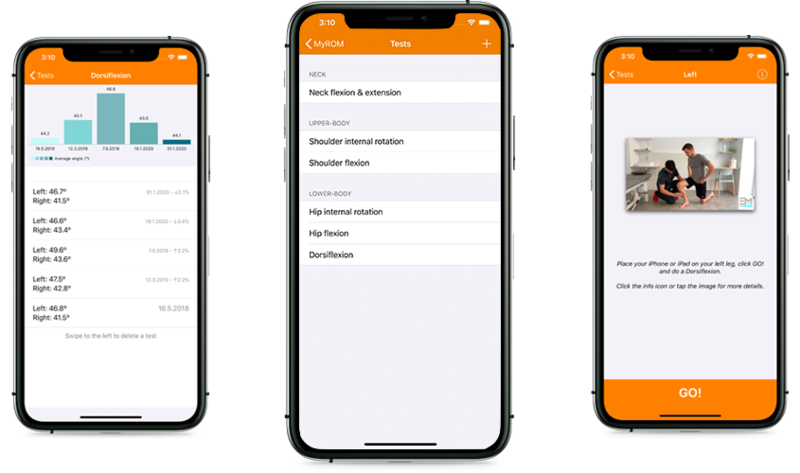 My Lift allows you to calculate your 1-RM or estimate what %1-RM corresponds to a specific load just by measuring your individual load-velocity profile by recording a video of your lifts. Now you can measure your maximal strength capabilities every single day to adjust your intensity and optimize the results! 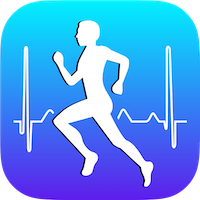 Nordics is the first app specifically designed to monitor your performance in the nordic hamstring exercise (NHE). The app measures with high accuracy the breakpoint angle achieved on the NHE, based on recent research that shows that this angle is highly related to hamstring eccentric strength. For this, and taking into account the well-known benefits of the NHE for the prevention of hamstring injuries, Nordics can help you monitor your athletes to improve your prevention protocols and get the most out of your athletes! Available for iOS9+ devices on the Appstore. See the video tutorial to learn how to use Nordics. Dorsiflex is a very simple app that measure your ankles' dorsiflexion using the advanced gyroscope on your iPhone or iPad. 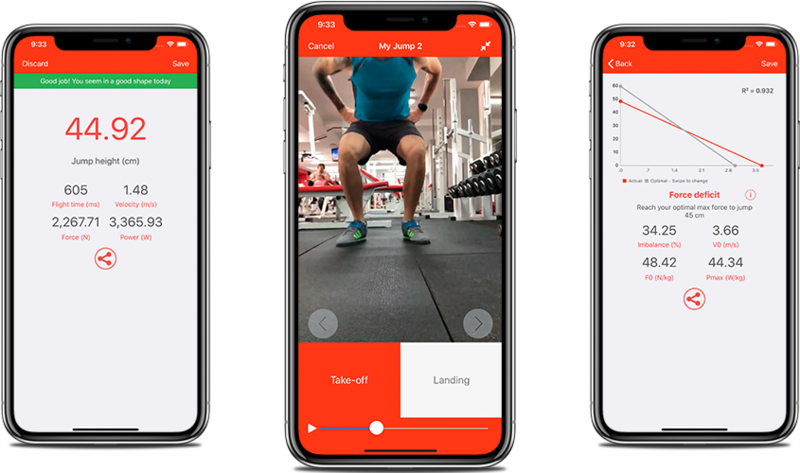 You just need to put your iPhone or iPad on your tibia while doing a weight-bearing lunge test and Dorsiflex will calculate your dorsiflexion angle at a glance. Dorsiflexion angle is an important variable related to lower body injuries that doctors and physical therapists have been measuring for years. Now, you can test your dorsiflexion scores in a very accurate and simple way with your iPhone or iPad! Available for iOS10+ devices on the Appstore. See the video tutorial to learn how to use Dorsiflex. 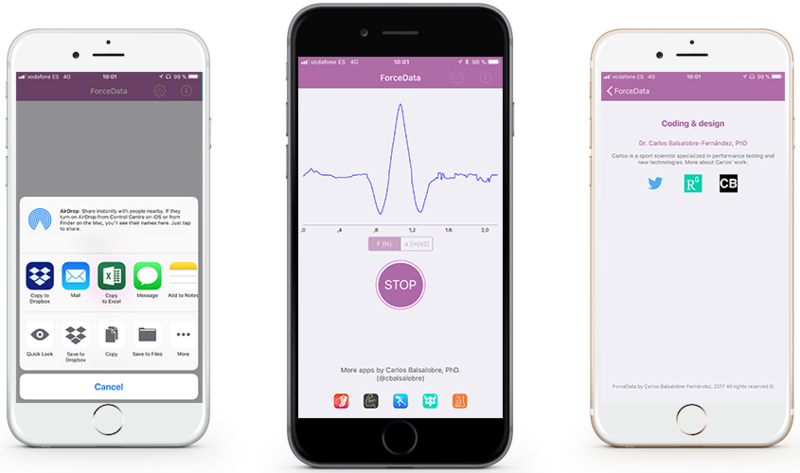 ForceData is a very simple app that uses the sensors of the iPhone and iPad to measure acceleration and force. Also, it exports RAW data to a CSV file as well as low-pass filtered data and Kalman filtered data. This CSV file is already prepared to plot force-time and acceleration-time curves easily. Very useful for simple sport biomechanics analyses in exercises like the countermovement jump or the squat! Available for iOS10+ devices on the Appstore. Bored with your gym routine? 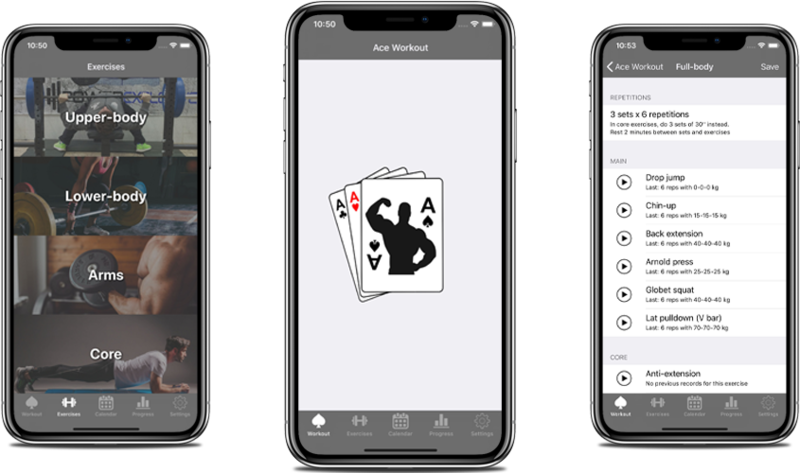 With Ace Workout you will never repeat the same workout again! 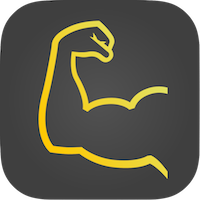 Ace Workout creates daily random workouts from a database of million routines using advanced algorithms. It combines more than 90 pulling and pushing exercises to work your muscles in a balanced way, and randomly selects the number of repetitions per set of the session. That way you will never repeat the same workout twice! Ace Workout, advanced routines to variate your training and maximize your gains! Available for iOS10+ devices on the Appstore. Are you ready to perform at your best? 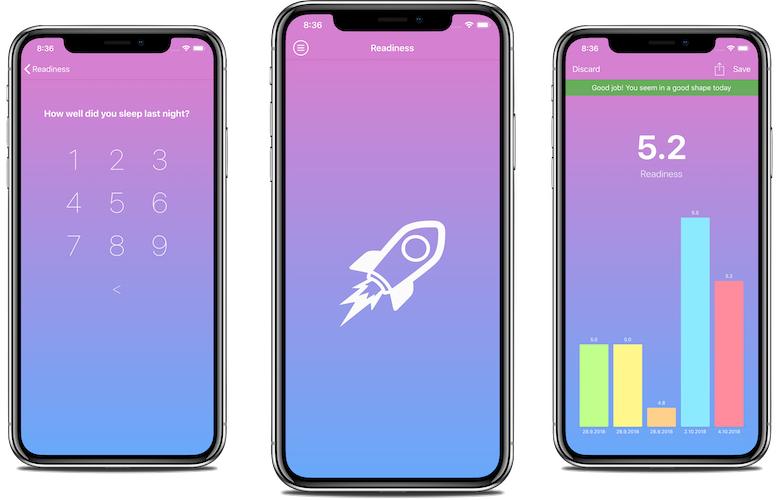 Readiness can assess how prepared are you to train and compete with a very short, evidence-based wellness questionnaire right from your iPhone or iPad! Readiness can help coaches and athletes in their decision making process by monitoring daily readiness in a simple way. It creates a Readiness score in a scale of 1 to 9 based on perceived sleep quality, muscle soreness, fatigue and stress. Then, it compares daily scores with the average of the previous two months using a very intuitive traffic light system: green is ok, orange is moderate fatigue and red is high fatigue. Available for iOS devices on the Appstore. COD Timer is the first scientifically validated app to measure change of direction performance. 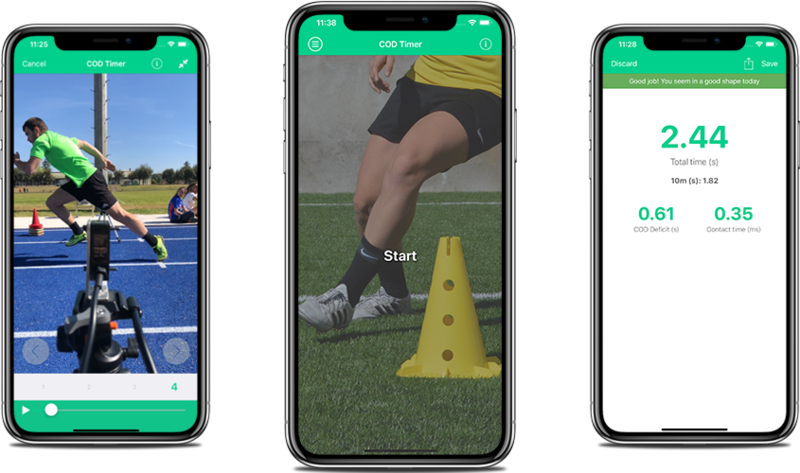 Designed by the creator of widely used apps in pro sports like My Jump 2 or My Lift, COD Timer allows you to measure meaningful parameters of some of the most popular COD tests, like velocity, contact time, leg asymmetry or COD deficit. 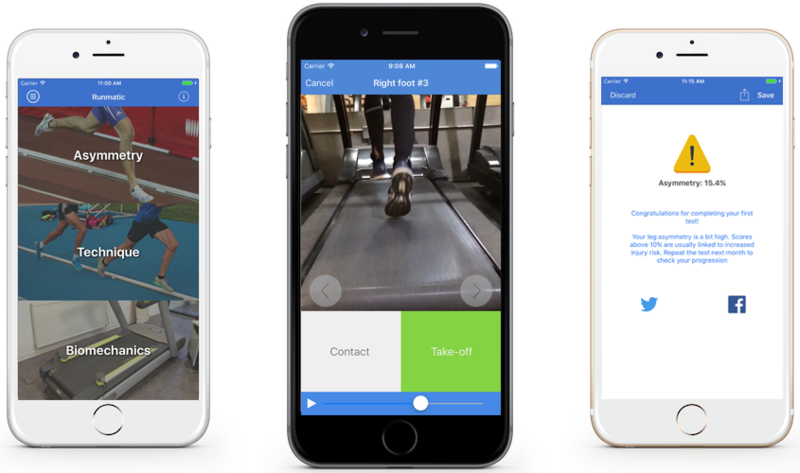 Just record your athlete with your iPhone or iPad doing the test and analyze the video, without the need of additional equipment. Simple and accurate! *Includes some of the most used and validated COD tests, like the 5-0-5, Illinois Agility Test, V-Cut and 5+5. *Measure important variables as time, contact phases, COD deficit or leg asymmetry. Scientifically validated! *Create as many teams as you want, and as many athletes in each team as you want! *Save the results into the user’s profile and register the evolution over time. You can even get alerts depending on how the scores compares to the athlete’s baseline. Very useful to detect readiness to train and compete! COD Timer, monitor change of direction performance just with your iPhone or iPad! Strength Training: New Methodological Perspectives is the first multi-touch interactive iBook in Spanish in the field of Sports Sciences. Available for iPad and Mac for free, this book aims to bring undergraduate and graduate sport sciences students the latest research on the topic of strength training in a simple, visual, interactive way. It was edited with iBooks Author, an innovative tool by Apple that allows writers to create and publish stunning books with multi-touch, multimedia widgets. 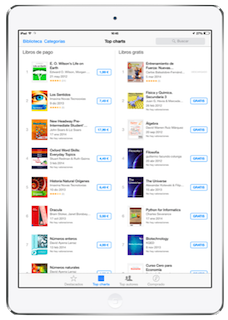 Strength Training: New Methodological Perspectives has been downloaded almost 10.000 times in its iBooks and PDF versions and it was Spain's #1 downloaded free multi-touch iBook for several weeks. Strength Training: New Methodological Perspectives is available on the iBookstore in Spanish in more than 52 countries for free. Also, you can download a PDF version below. Don't hesitate to contact me if you need assistance with my apps, have questions about my research or want to invite me to give a speak at your event. .